Sovannahry Em is ready to make the next big step on her martial arts journey in her ONE Championship debut at ONE: DESTINY OF CHAMPIONS this Friday, 7 December. The 26-year-old Cambodian-American will face Ukraine’s Iryna “Delsa” Kyselova in the first prelim bout at the Axiata Arena in Kuala Lumpur, Malaysia. But things could have been very different for a young woman who struggled with confidence and anxiety issues earlier in her life before discovering martial arts. “[Martial arts] is an important part of me because I’ve always been really shy, and never liked any form of confrontation,” she admits. The nature of competition has transformed Em into a strong, confident woman, and an emerging talent in women’s mixed martial arts. Now she is ready for her ONE debut, where she will join fellow Cambodian representative Chan Rothana on the card in Kuala Lumpur. She hopes to be able to connect with the country of her heritage to share her experience of how martial arts can empower people with confidence. Earlier in her life, her confidence was so low, and her anxiety so high, that even phone calls became incredibly stressful situations. “I used to get anxious whenever I had to call in an order for pizza,” she admits. Things are markedly different for Em now, as she gets ready to take on Kyselova in a flyweight bout in Kuala Lumpur. Now she is fearless and determined to show how martial arts can transform young lives for the better. To that end, she has teamed up with mixed martial arts veteran Yves Edwards to create a children’s book that helps share the life skills that martial arts can provide. “It’s about teaching kids life values through martial arts,” Em reveals. Em’s own character is proof of the positive effects of martial arts. With a modest, grounded attitude and a burning desire to compete, and win, at the highest level, the Cambodian-American is determined to take her chance in the world’s largest martial arts organization. 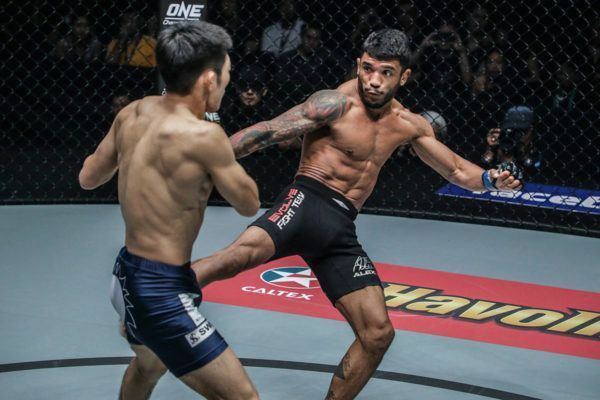 Here are all the ways you can watch ONE Championship’s final event of 2018!